A noted Québec actor, Guy L’Écuyer was at home on stage, television and film. He distinguished himself early playing the title character in Gilles Carle’s La vie heureuse de Léopold Z. Léopold is an overly sympathetic snowplow driver who has to deal with the whims of both his boss and his wife while maintaining a happy outlook on life as a heavy snow descends on Montréal on Christmas Eve. Perhaps we would call it typecasting today, but his career was marked by solid performances playing these sorts of naive yet charming characaters audiences could easily identify with and take to their hearts. Marc-André Forcier wrote four roles specifically for L’Ecuyer. In Bar Salon, L’Écuyer played a bar owner faced with financial problems; in Night Cap, his character dies unexpectedly in a tavern toilet after winning a frozen turkey; in L’eau chaude, l’eau frette he plays a character named Panama who is a gay head cook and in Au clair de la lune, he plays Bert, a former bowling champion whose life has changed thanks to rheumatism. 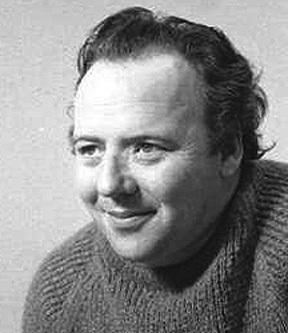 L’Écuyer was known for his willingness to work with newcomers and often took roles in first films when asked by young filmmakers. 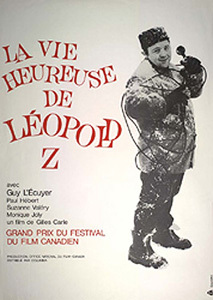 In recognition of his career the Prix Guy L’Écuyer was created in 1987 by the Rendez-vous du cinema québécois film festival. It was replaced by Le Prix Jutra in 1999.